Every year there are different “trends” when it comes to marketing your business. The general theory remains the same but you can kick your sales into overdrive if you stay on top of the current trends and utilize them to your advantage. We want to share a few of these trends with you and let you know how you can use them for YOUR business. Content is king. We’ve said it before and we’ll say it again. Content marketing continues to rise in popularity and content marketing strategies should be used to reach your target audience. What this means is that you should be creating more personal, inspiring and creative content. Don’t just put out the cookie-cutter content that every other business is creating. Do something that speaks to your audience and builds your brand. Analytics will stop being a good tool and become a necessary one. Businesses will increase analytic spending by upwards of 60% so if you aren’t utilizing analytics, you’re already behind. VIDEO! We’ve worked with many businesses over the past few months who only utilized social media in the form of Facebook and Twitter…posts and text. If you want to reach a broader audience and become more appealing to your consumers you have to start creating video content. It’s easier than you think and can be done on a shoestring budget. Try it out. Pull out that digital camera, set to camcorder and create your first business video! There are plenty of programs out there that can help you create professional looking videos. Online ads continue to grow. Google Ads…even Yahoo Ads are still one of the most tried and true methods of online marketing. Try Facebook and Twitter if you like but you can rarely go wrong with using Google Adwords. 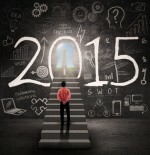 We hope these tips can help you put your 2015 marketing efforts into full gear. Don’t hesitate to write contact@hardyconsultation.com or call 434-770-0230 if you want further assistance with your marketing plan and let The Hardy Group help take your business to the next level.